Brad Wigh – Little Blue House Publishing of Caye Caulker, Belize, is pleased to announce the publication of two children’s books that celebrate growing up in Belize. 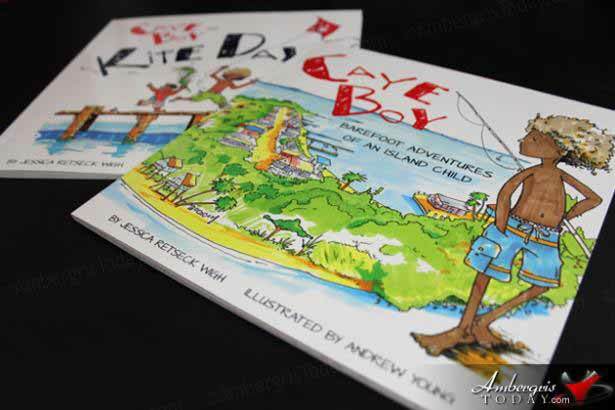 “Caye Boy: Barefoot Adventures of an Island Child.” and “Caye Boy and Kite Day” chronicle the daily lives of two island children, from climbing coconut trees and building kites, to helping their fisherman father and tourist watching! Both books are written by Caye Caulker resident Jessica Wigh who lives with her husband and two ‘caye’ sons. Jessie loves that the carefree life of the island child is much like her own barefoot small-town upbringing in Indiana…only with coconut trees and the Caribbean Sea instead of barns and hay bales. When not chasing her own “Caye Boys” around the island, Jessie co-operates a yoga retreat company (Belize Yoga) and a by-donation yoga studio (RandOM Yoga) with her husband.